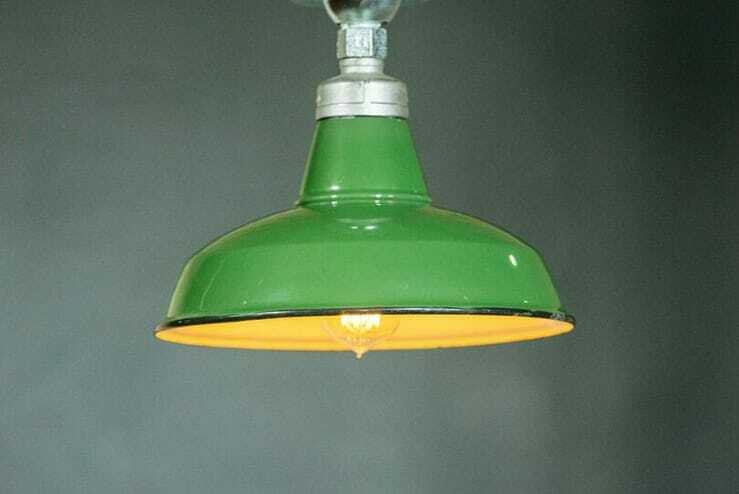 Green enamel industrial reflector pendant in a classic silhouette. These tough-as-nails porcelain enameled lights were a staple in factories and warehouses throughout the ’30s and ’40s. White interior with a narrow black rim encircling the edge.